Food was my comfort except, it did not comfort me. 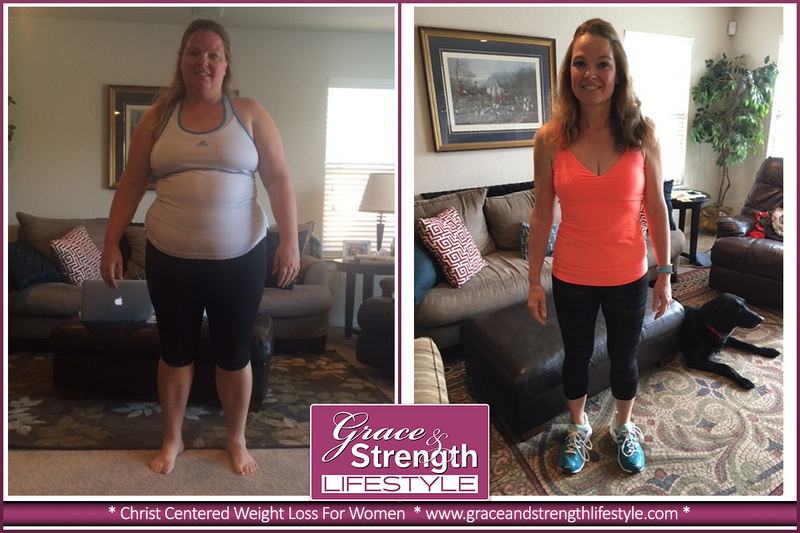 My journey with Grace and Strength began early January 2016. 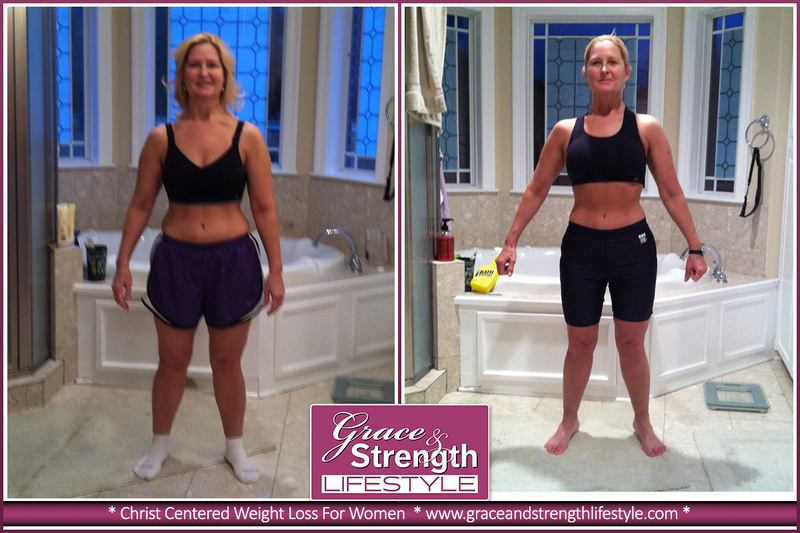 I had put on 45 pounds since the death of my 43 year old daughter in a tragic motorcycle accident. Food was my comfort except it did not comfort me. I had been on a program similar to this 2 or 3 years ago but I was looking for something more. The spiritual part was missing in my previous weight loss and I knew that the spiritual was all a part of the whole. I Just Wanted Something that WORKED!!! I have struggled with the extra weight for about 5-6 years. Constantly dieting, watching everything I ate and trying to exercise all the time, with no lasting results. The numbers just seemed to continue going up. My career is very hard on me. I work a lot of long days (working 12, 14 & 16 hrs) which are physically and mentally demanding. Most weeks I work 55-60 hrs a week (Mon-Fri). Sather's Story: I heard about Grace and Strength through my best friend who was going through the program. Every time I talked with her, she was so excited about everything she was learning. She shared with me how the program was challenging her to grow in her walk with the Lord, and to memorize scripture to lean on it in times of need. As a result she was loosing all of this weight and still felt great. I was intrigued! I'm a personal trainer and I have a passion for fitness and health. 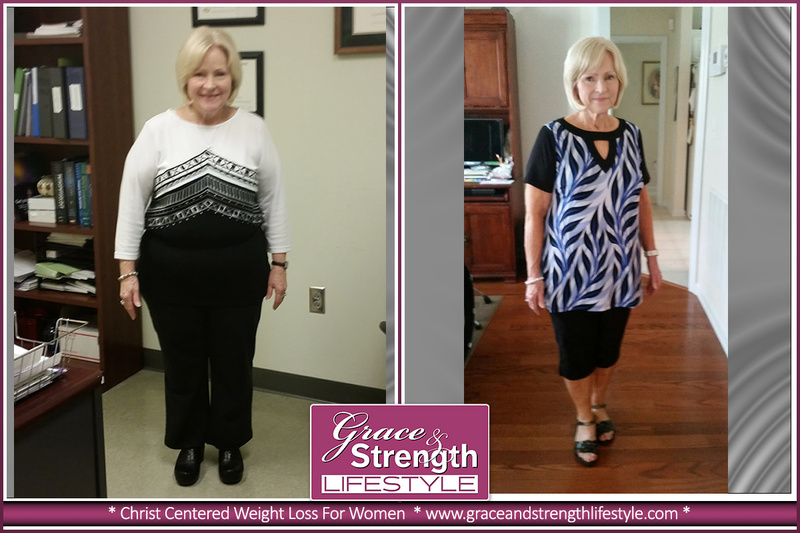 Jenny's Story: Last fall I was comparing GNS with another weight loss program. I knew friends who had done both programs and they experienced success. I decided to enroll with GNS because I wanted the spiritual emphasis and accountability. As a Christian, Christ should be part of every area of my life and I realized I had "cubby-holed" Him and left Him out of my "eating cubby". That was going to change!